UPDATE: Effective January 2018 the HOME PLUS and HOME IN FIVE ADVANTAGE programs will require re-payment IF your home is sold or refinanced within the first 3 years of closing. Over the past two years, I’ve personally helped home buyers achieve their home-ownership goals with as little as two to three thousand dollars by using a down payment grant program. These programs offer competitive rates and are a no-brainer for those looking for down payment funds. 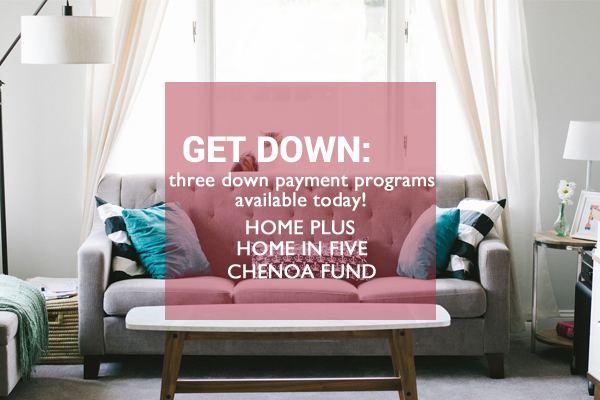 The HOME PLUS, HOME IN FIVE ADVANTAGE, and the CHENOA FUND DPA are three of the most popular down payment assistance programs available in Arizona. Below are the highlights of each. Receive up to 5% of the loan amount to be used towards down payment or closing costs. 30 year fixed rate CONVENTIONAL mortgage with REDUCED insurance premium. Does not have to be paid back. Minimum credit score required is 640. Must be used for owner-occupied homes only (not for investment) BUT you DON’T have to be a first time home buyer. Receive up to 3% of the loan amount to be used towards down payment or closing costs. Additional assistance for qualifying FIRST RESPONDERS, K-12 TEACHERS, AND U.S MILITARY PERSONNEL. 30 year fixed rate FHA, VA, or USDA loan. Income limit scenarios: if your income is equal or less than 115% the median income of your area, then your options are a 3.5% grant that requires no repayment or a soft second mortgage that is forgivable after 36 months. If your income is greater than 115% the median income of your area then your only option is a 3.5% loan that is amortized over 30 years. If you think you may not be a good candidate for any of these three programs, don’t worry! There are other lender-specific programs that can benefit those with lower credit scores or that do not meet the requirements above. Are you ready for a FREE, NO PRESSURE consultation to see if you qualify? click HERE to request a team member contact you.